Powerzone Nutrition was founded and created by Steve Jones in 1995 with the underlying goal of creating a sport supplement range that is built on science and designed for those who are serious about increasing their athletic performance naturally. Steve has actively been involved in the health, fitness and bodybuilding industry for over 30 years. 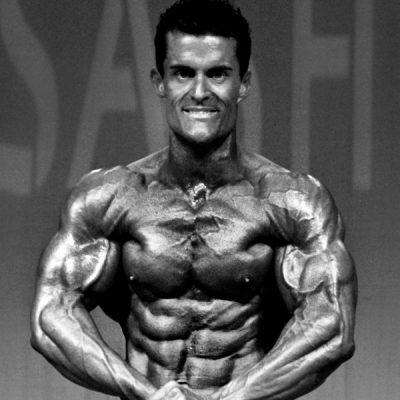 He has competed and won numerous bodybuilding titles including the Pan Pacific Championships. He has owned and operated three gymnasiums throughout Australasia. Powerzone supports a number of the Top Natural Bodybuilders, Fitness Models, Figure athletes in the industry and works passionately to promote the incredible benefits that the Natural Bodybuilding and Fitness Lifestyle has to offer. Its not all about us. We believe in giving back to the industry, to build it, make as many people aware of the amazing benefits that weight training and health and fitness has to offer. If we are going to do something, we do it right. Honesty is the foundation of continued success. Steve Jones has over 30 years experience in the fitness industry and has won numerous bodybuilding title across the Australasian region.